Dr Naik Dentist grew up in the DFW Metroplex area and feels very fortunate to practice where he & his family grew up. He received a Bachelor of Science Degree in Biology & Biochemistry from the University of North Texas. Dr. Naik then attended the prestigious Baylor College of Dentistry in downtown Dallas, where he received his Doctor of Dental Surgery Degree. 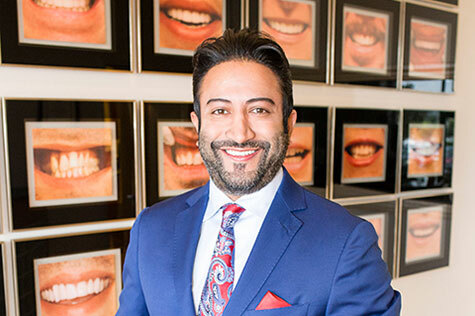 Dr. Naik cosmetic dentist in Irving, is a leader in cosmetic & general dentistry by utilizing the most current technology in cosmetic and general dentistry, and by staying current with the latest advances in dentistry. Dr. Naik’s passion for cosmetic dentistry is shown through his work where he has transformed thousands of smiles. He does this through a combination of state of the art technology and remarkable eye for detail. He is a true perfectionist and feels that every patient should be treated with the care and the dedication needed to achieve the best results. Dr Naik DDS, stays abreast with the newest advances in dental care and technology by attended numerous continuing education classes in cosmetic dentistry, new materials and advancements in dentistry. His happiness truly comes from his patient’s satisfaction with their dental treatment and knowing they left his office with a smile on their face. Dr. Naik is proud of every member of his professional team. Each staff member maintains the highest levels of accreditations and pursue ongoing education to stay abreast of the latest trends in dentistry. On every appointment, you’ll be guided by a supportive team who seeks to provide a unique patient-centered experience. Every member of the team will focus on you as an individual and will provide you with an experience unlike any dental experience.